For other uses, see Ice age (disambiguation). 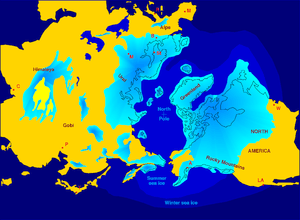 During ice ages the sea level drops as water is held in the great ice sheets at the poles. How much it drops depends on several factors, such as the length of time that a cold period lasts. Within an ice age, there are stages. 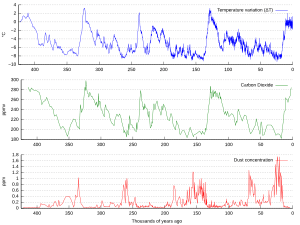 The longer cold stages are called glacials or glacial periods. The shorter warm periods are called interglacials. 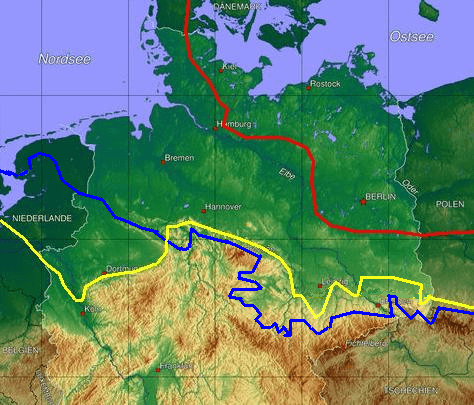 The last glacial ended about 11,000 years ago when the present interglacial started. The Greenland and Antarctic ice sheets still exist. The last two million years have been the Pleistocene ice age. During glacials, large and thick ice sheets cover much of the North American and Eurasian continents. 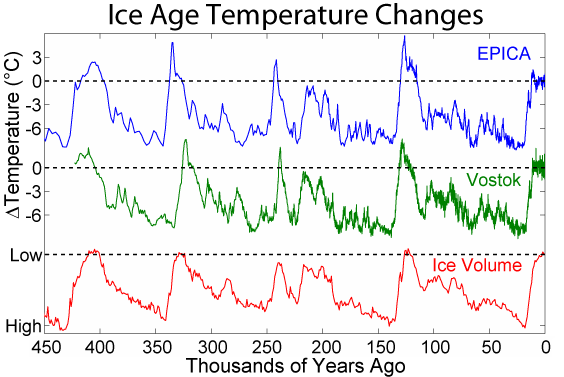 Many glacial periods that have occurred during the last few million years are initially at 40,000-year frequency, but more recently ice ages have occurred at 100,000-year frequency. Ice age Facts for Kids. Kiddle Encyclopedia.